third party who suffered bodily injury, health harm and death but not including property damage. 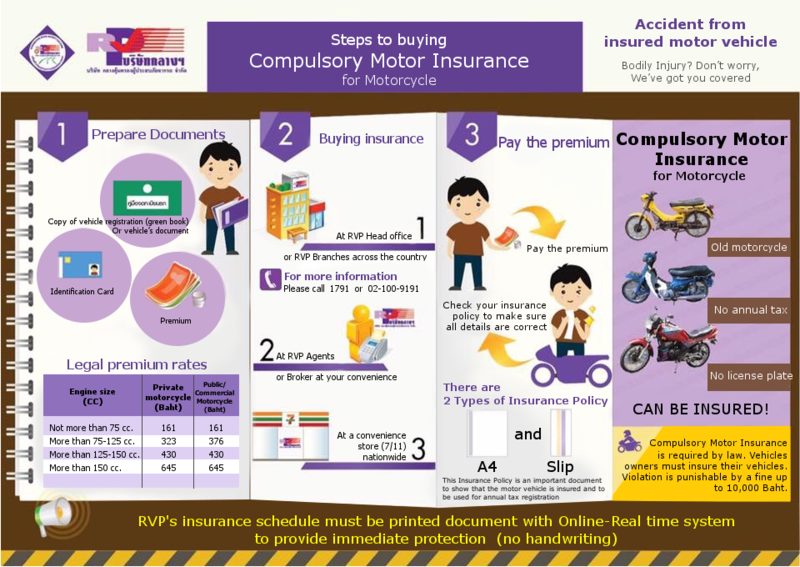 insured vehicle, the company will pay preliminary compensation within 7 days as follows. or victim protection fund shall pay to the victim. Maximum compensation (requires proof of liability /proof of fault) including preliminary compensation. Inpatient compensation (Hospitalization) 200 Baht / Day, not more than 20 days. I was a passenger in an accident with insured vehicle and I spent 7 days in hospital, what is the compensation? of the number of days spent in the hospital (Inpatient). Except for the driver at fault will not receive daily compensation. 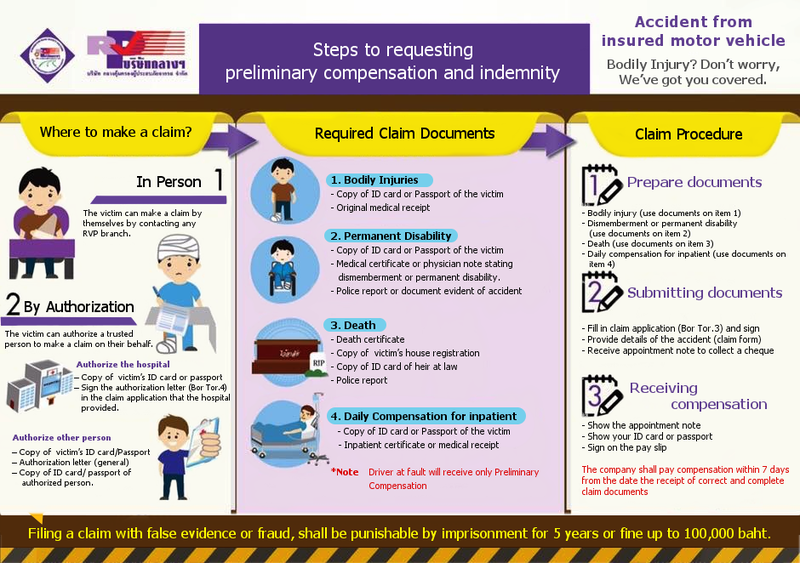 From the question, the victim is a passenger if the vehicle is insured and the victim spent 7 days in hospital, insurance company shall pay daily compensation of 1,400 Baht (200 Baht x 7 Days).